After graduating from George Washington University in 1977, Alan Cohn began his career in the healthcare industry while studying at the University of Baltimore School of Law. During this time, Alan Cohn balanced his academic pursuits with a position in the Health Care Financing Administration’s Office of the Attorney Advisor. After graduating, Mr. Cohn joined his family’s healthcare business. Following the sale of this business, he established a mail service pharmacy, which he grew into a large company. After selling the pharmacy company in 1992, Mr. Cohn began his turn around work with Avesis, an almost bankrupt provider of hearing, vision, and dental discount plans to less than 250,000 members. 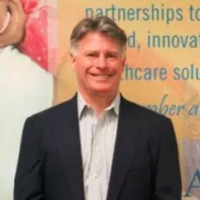 After the successful turn around of Avesis, Mr. Cohn took control of the company and became the presidentand CEO of Avesis and incubated and grew its new subsidiary, AbsoluteCARE. After the successful sale of Avesis in 2016, Mr. Cohn continues to head AbsoluteCARE today. As the company's president and CEO, Mr. Cohn ensures the effective delivery of holistic, patient-centered primary-care services to individuals with chronic illnesses at three medical centers in the eastern United States.